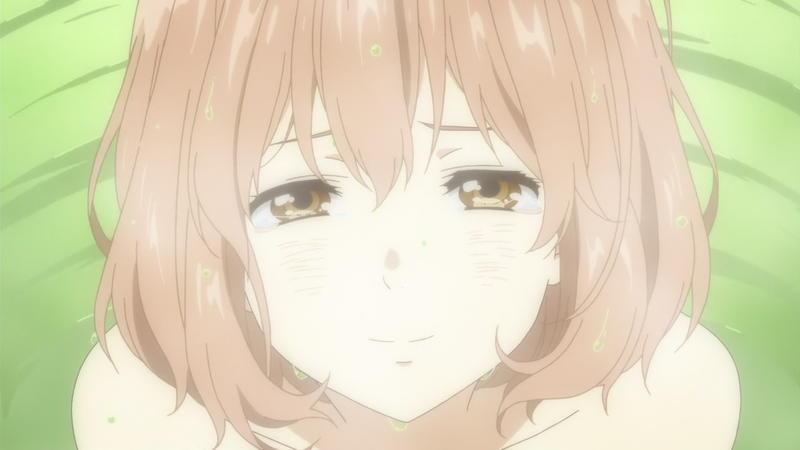 Kyoukai no Kanata — 09 | Mezashite! Really? 8 minutes is long enough to give up and then wait possibly 24 hours for another groups? Your loss. Either or, it’s fine now. The torrent has been compromised. It got stuck there because there was an exploitation. You should have been attempted to be infected. Look for something called adserver plus. I got rid of it with malwarebytes. Alas, the dangers of the internet. There’s a translation error at 19:40 that completely changes the meaning behind what Nase says. ‘Dana’ is a questioning suffix at the end of the sentance meaning “isn’t it?”. That makes a pretty big difference. If you look at the script you’ll see that we were going back and forth about that one. Well, it just means that we made the wrong choice in the end. We’ll fix it for the batch. Screw this series, where’s Aikatsu 59? I want my weekly Aikatsu dose soon!!! First, if you are that desperate go watch the raw like I did. If you have been watching anime for a very long time like me, you probably can get the general idea of the episode and understand some phrases even without subs. Second, stop demanding for something you don’t even pay for. They are doing us all a favor by translating it so stop demanding kid I bet you are still on school and don’t work they probably had some issue real life always take priority even if it’s not work (since it was a holiday) you know things happen that is just how the world is.